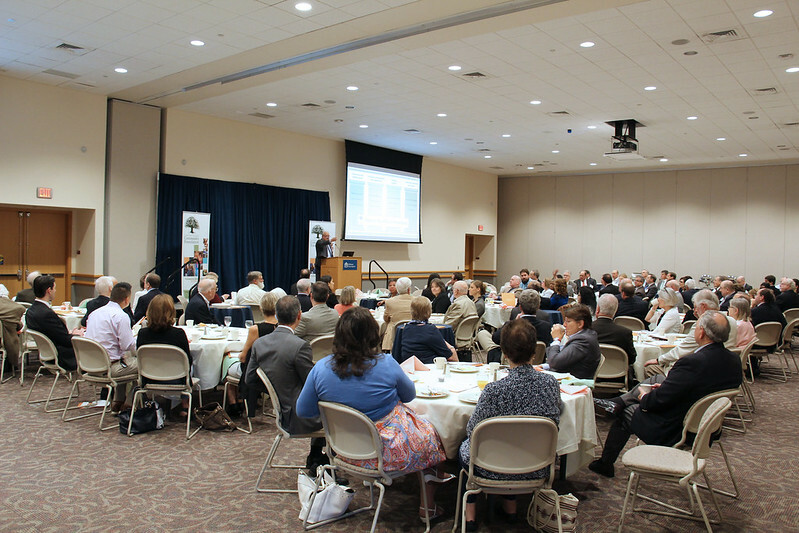 The Lehigh Valley Community Foundation (LVCF) held it's inaugural Board of Associates meeting on June 6, 2018, to engage a broad range of influential community members in a dialogue in order to better serve the Lehigh Valley. President of Discovery Lehigh Valley, Michael Stershic, immediate past chair of the LVCF Board of Governors, who serves as chair of the Board of Associates, welcomed the group and explained the roles and responsibilities of the board, a non-incorporated association of individuals, who will meet twice annually to discuss issues important to the Foundation and the Lehigh Valley. The first meeting also included a CEO Update from Bernie Story, president and CEO of the Community Foundation, and a presentation of the Lotter Fellow Reflections Paper by Muhlenberg College Professor Christopher Borick who is serving as the LVCF Lötter Fellow, and presented research on the Community Foundation’s “Be the Spark Program” with a focus on assessing the impact of the grants made by the Foundation in celebrating its 50th Anniversary. To see all the event photos, click on the link to Flickr photo album.